In August, we celebrate me and my husband’s birthdays. Then in September, it’s my daughter’s birthday. And last week, at the end of October, we celebrated my son’s first birthday. Needless to say, it’s been all birthdays, all the time for the last several months. Now that the birthdays are over, it seems that my daughter has jumped right into Christmas. I really don’t know how this has happened. My husband and I have mentioned Christmas maybe once or twice, but she has been talking about Santa and presents multiple times a day for the last several days! I love Christmas. I think that Christmas with children is almost better than Christmas as a child! Seeing your child light up over the lights and the music, the family get-togethers, the traditions, the snow, and of course, the presents, there is just nothing more exciting than seeing Christmas through the eyes of your very own child. I also, don’t generally have too much of a problem with Christmas starting early. I love Christmas music, so I’m not going to concern myself if the stores start playing it two weeks ago. It is all considered the Holiday season to me, so let’s just jump in with both feet. However, like I told my daughter the other day after her third mention of Santa in one afternoon, before we start focusing on gifts, we need to take some time to be thankful for what we already have! As much as I love Christmas, I really love Thanksgiving too. It is such a peaceful Holiday, there isn’t the stress of presents, there aren’t a million Holiday parties to attend. It’s just a day to relax with family and be thankful. But gratitude is not something that should be reserved for one day. Gratitude is a life style, which is why I’ve enjoyed spending all of the month of November focusing on things I’m thankful for in recent years. With all of my daughter’s focus on Christmas and Santa, it was kind of a wake up call that I need to teach her to live a life of gratitude as well. So, we have made a Thanksgiving tree! Grab some brown construction paper and cut into the shape of a bare tree. I’m not posting a photo of what my bare tree looks like because it’s kind of hideous. The point is not to make a work of art, the point is thankfulness. Don’t try to be perfect. You need a stump and some branches to stick your “leaves” on. Grab several sheets of random colored construction paper. I let my daughter pick our colors, so that’s why we have purple, blue, and pink fall leaves. Again, make it fun and don’t aim for perfection. Cut the construction paper into halves or quarters (slightly bigger than your kid’s hand size). Trace your child’s hand on one of the pieces of colored paper. Stack all of the colored paper (or several sheets) and cut out the hand. The point here is to cut several hands at once so you’re not spending hours cutting. 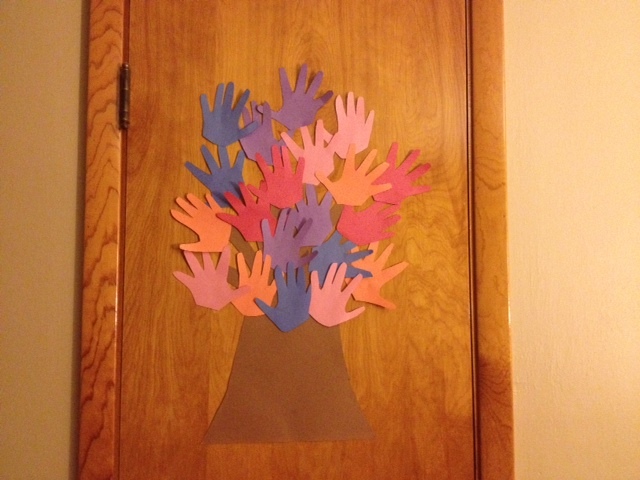 We made 20 hands (leaves) for our tree. As I’ve mentioned before, we’re not great at doing anything every single day, so I cut enough so that we can have one hand/leaf for most days between now and Thanksgiving. Alternatively, if you aren’t a fan of “hand” leaves, you can just cut out regular leaf shapes. Tape your brown tree to a wall or door (we aren’t huge on decor in our home so ours is in the living room on the coat closet, you can hang yours in your child’s bedroom if decor is more important to you). Tape your leaves on the branches of your tree. I promise that the setup outlined above took me no longer than 30 minutes, and that was with lots of “help” from both of my kids (slowing me down – but kid involvement is kind of the point!). And the daily writing on the leaves should take all of 2 minutes. This is totally doable. Anyone can find the time for a two minute talk with their kid on thankfulness every day or so. But, if it all feels like too much, or you’re too afraid of your poor crafting abilities (I get it, I am no artist), then maybe you could make a running gratitude list with your kids, or something to shift the focus away from rushing into Christmas and on to living with gratitude. What kinds of things are you doing to help your kids learn to be thankful for the blessings that they have? Confession: I sometimes call my daughter Molasses. She doesn’t know what molasses is. She’s never seemed to care when I call her molasses. I don’t think she really is paying much attention to me when I call her molasses. But still, I call my sweet girl molasses and I kind of feel bad. You see, if you’ve ever had a four year old, you might understand. They tell you that kids are always on the go and there energy levels are very high. This is all true. Until you need to leave to get to daycare/work on time or until you are trying to meet with some friends, or leave a busy store, or get to a place where you can sit and feed the screaming baby. Then, kids move like molasses. Turtles, snails, and four years old could compete and I’m not sure who would win if you’re comparing the speed of a four year old when mom is in a hurry! When I stop and think about why my child moves like molasses I remember that this world is still brand new. Sure, she’s been around for four years, but she barely remembers any of that time period. And each new day overloads her system with new experiences, new sights, new tastes, new thoughts, new words, new sounds. We were in a buffet restaurant the other day and my sweet girl had to use the restroom twice in our short visit. We were with a large group of family and I wanted to eat and spend time with everyone, but I was spending an obnoxious amount of time in the bathroom with my four year old instead. On the way back to the table she was walking painfully slow and stopped to point out every single thing. “Look at these lights”, “Mom! Check out these fishies”, “What’s that stinky smell?”, “What does this do?”….All along, I was thinking: How long can it possibly take to move from the front of the restaurant to the back of the restaurant? Why are there so many things to look at in here? These people are going to think we’re rude for standing near their table so long while they’re eating. What is so exciting about the fish that we looked at two minutes ago?? There is so much to learn when you are only four. How much do I take for granted because I’ve seen hundreds of restaurant fish tanks, seen thousands of sunrises, experienced 30 different fall seasons, and stopped caring about what every stinky smell is? Children don’t all have ADHD that needs to be treated. They are born into a vast and vibrant world in which they literally, know nothing. Every single day is exciting and new, even when they do the same exact things they did yesterday. Wake up, eat breakfast, go to daycare, come home, eat dinner, play with toys, go to bed. Still filled with newness. Still filled with unique, never before experienced or imagined situations. This post isn’t to make me feel guilty for calling my daughter molasses. It’s not meant to shame me for rushing my children. I still want to instill in my kids the need to be on time for appointments and commitments (something I struggle with). I still want my daughter to listen when I ask her to put on her shoes and get in the car. 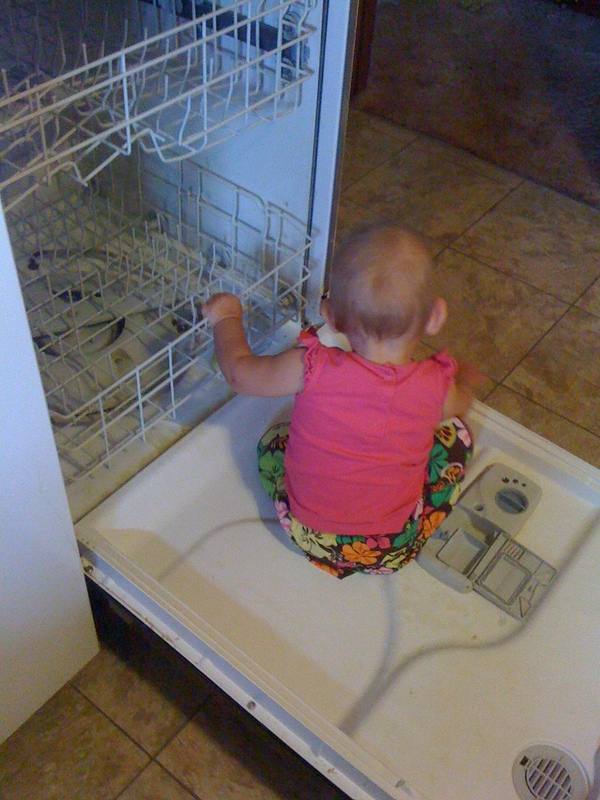 I still hope to teach my children to have a sense of urgency when things need to get done. But do we always need to rush? In our day and age, we are constantly running from here to there. We have schedules and to do lists and priorities and everything is urgent. But this isn’t real. I don’t need to rush from the bathroom back to the table in a restaurant. I don’t need to run through each store when we’re shopping. I don’t need to yell at her to get in the car just so we can hurry off to play at the park. My hope is that when “molasses” sneaks out across my lips, that it may be a reminder to slow down and embrace the speed of a four year old. Sure, there will be moments when we need to hurry, but I want to make a conscious decision about those moments. When I start to get impatient, I hope to stop and consider, what are we rushing for? Can we take a few extra minutes to check out the colors of the leaves, the sound of the waterfall, to watch our breath as we talk on a cold winter morning, to reach out and feel those first few flakes of snow falling from the sky? What if I took her lead and just embraced all of the newness, to experience the beauty of all the things I take for granted? What if I tried to remember what it was like to jump in a puddle for the first time? What if I stopped to talk with my daughter and learn more about how her brain works as she experiences her every day? What if instead of rushing through life, we actually took the time to live? I’m so grateful for the lessons that I learn from my kids. I’m thankful that I don’t have to feel guilty about rushing, I can just thank my girl for teaching me to live. What are your children teaching you lately? *This post is part 3 in a series on gratitude, or more accurately, how I’m turning “mommy guilt” into gratitude. You can check out previous posts here and here. Every single mom faces “mommy guilt”. It is a universal thing, circumstances don’t matter. Being a mom is a tough job and we never feel like we are doing it right. This is true for working moms, stay at home moms, and I would guess even the empty-nesters struggle with guilt still! I think that in some ways, the mommy guilt is a good thing. It keeps us moving forward. It helps to block complacency and motivates us to constantly try to better ourselves. This is good. I’m very grateful for guilt some days because I really can do better for my kids (and my husband)! However, when guilt leads to depression, shame, criticism, and feelings of worthlessness, there is no value in guilt. When I’m constantly beating myself up for not being good enough, every aspect of my being suffers. If my thoughts are overwhelmed with how I’m not doing anything right, I get stuck in a place where I just throw up my hands and refuse to do anything. Guilt that doesn’t motivate is harmful and dangerous and has no place in our lives. Avoiding this kind of guilt is easier said than done. My inner voice can constantly find ways to tear me down if I’m not careful. It takes a constant effort to silence the negative inner voice and replace it with one that is positive, uplifting, and encouraging. I’m so much more motivated when my confidence is high. I am a great mom when I believe that I’m a great mom. Life is so much more fun when I’m proud of the person that I am. This doesn’t just happen by being a great, confident, fun person, it happens when we intentionally focus our thoughts away from the negative and onto the positive. Whenever you begin struggling with the weight of mommy guilt, I challenge you to pause and think of 3 ways your current situation is a blessing. Stop the thoughts that tell you that you’re not good enough, stop the thoughts that tell you that you can’t, stop thoughts that tell you that you are failing and think about 3 good things. This isn’t an attempt to “positive think” our way out of difficult situations. This is an attempt to notice the good. There is always good in every situation, but sometimes we forget. Sometimes the hard days make the good difficult to see. But whatever you focus on, expands. When we only notice our failures, our problems, and our long distance from our goals and dreams, those failures, problems, and the distance can only grow. But when we change our focus to notice the beauty, the gift of each moment, when we notice the distance we have come, and the obstacles we have overcome, we begin to realize that good has the power to grow. You are a good mom. You make good choices every day. You grow stronger, better, and wiser with each new experience. Stop focusing on all the ways your life could be better and notice the things that already are. Change your negative thoughts of failure and inadequacy into thoughts of thanksgiving, gratefulness, and blessing. Change your perspective; it really can change your life. Today is my son’s first birthday! I’m still in shock that this little man has been around for a year already. I still remember chasing my three year old around Chuck E Cheese’s at 38 weeks pregnant like it was yesterday. It was actually a full year ago. That lovely trip to visit the mouse was exciting enough to entice our little man out of his cozy womb. He rushed into the world just a few hours later. It was such a whirlwind of a day. I really did not expect to be holding my son before bedtime that night. I figured he’d be early, but was thinking I had at least a few more days to prepare. Adding in a second child has certainly shifted the balance of our family a bit. It hasn’t been quite as hard as I was expecting, but going back to diapers, sleepless nights, tons of baby gear, and remembering all of the newborn tricks and quirks is definitely not a walk in the park. My sweet son still sleeps very similarly to a newborn (up every 1-2 hours all. night. long), so that alone has made this year exhausting. My daughter has been amazing through all of this change. She definitely has her moments (like this morning when she did not understand why she needed to let her brother play with his birthday presents) and she struggles to be gentle sometimes when she plays (so glad he’s a big boy), but she loves having a little brother. 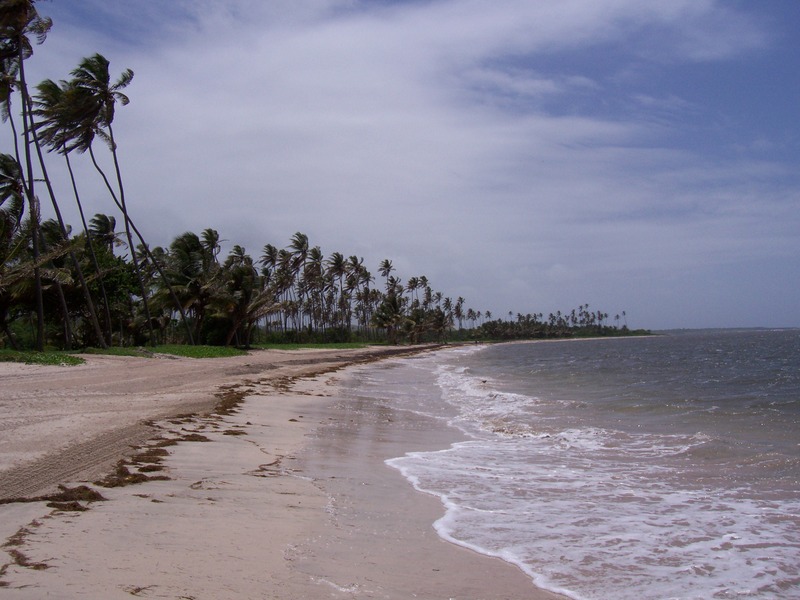 Last week, I spent many hours reading, researching, and then launching this blog. And creating an associated Facebook fan page, Twitter account, and even a snazzy Pinterest profile. It took a ton of work. I knew it would be a lot, but wow, I had so much to learn. Then I had my small group, went out of town for work, hosted my boy’s big 1st birthday party, and then on Sunday we had his baby dedication at church. I’m so thankful that my husband and I decided to take a vacation day today so we could just stay home and relax. The craziness of this past week has certainly caused the balance of my life to swing way out of whack. I had so many things to do that I was afraid to sit down and even create a to do list since it would have meant wasting precious minutes that I could have actually been doing things! 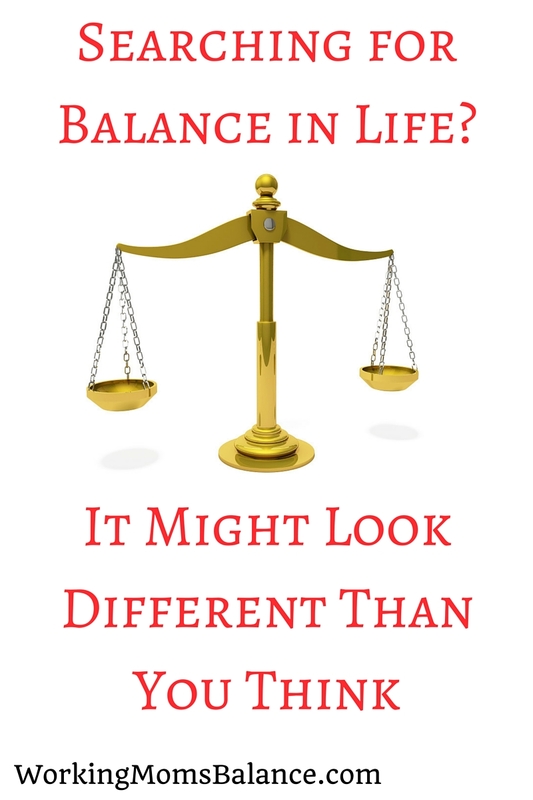 It has reminded me that balance in our busy lives, doesn’t work like a shiny scale. We can’t just place a perfect match of minutes on the scale of each responsibility, relationship, or priority of our lives and find a perfect balance that leads to peace. Balance in our lives generally looks more like an acrobatic show. There are multiple people and levels, there is a fluid motion involved, the balance is constantly shifting and changing as each day is different. If the balance of my life was a perfect selection of minutes for each responsibility, I would have never launched this blog. I had to shift some things to a different level for a couple days and put my focus on learning the ropes of creating a blog. That is why I ran a whopping one mile last week! Exercise dipped way low on my priorities list. So did dishes and laundry and even a few meals. Toward the end of the week, I realized I had a big birthday party to plan and prepare for and kitchen full of dirty dishes. My balance shifted again as I moved the blog down the priority list and spent my energies washing dishes, buying party food, and of course, loving on the birthday boy! What I’ve learned about this kind of balance though, is that when you’re talking about fluid motion, balance that shifts and changes many times throughout the day, it can look absolutely beautiful at times. It appears that we’ve got it all together, we make it look easy, at some point we can settle into a routine and our muscles kind of take over. They’ve been trained well, the processes and the patterns have been programmed into our brains and muscle fibers so that we move through our lives with grace and ease. But not everyday is like this. And this grace and beauty of motion could never happen over night. I’m still learning much about being a parent of two small children, but now that I’m a year into this thing, we’ve figured out some processes and routines for handling our family of four. I had people comment at the birthday party that “it looks like you’ve done this before”. This was the fifth time I’ve hosted a family birthday party for my kids so I’ve figured out how to make family birthday parties simple for me to host! This 1st birthday party was so much less stressful than the first 1st birthday party I hosted when my daughter turned one. Just like acrobats, things don’t always go perfectly. And unfortunately in life, there is no opportunity for the months and years of practice that acrobats get before their performance. In life, every single day is the performance. This means that there will be stumbles, there will be falls, there will be times when the choreography doesn’t look all that put together. There will be times when we miss our cues, forget the moves, and fall flat on our face. But all acrobats know, when you fall, you get up, bandage your wounds, dust off your shoulders, and try again tomorrow. The beauty can only come when we continue to lift up all of those arms of responsibilities and relationships and priorities, and learn to move with them, to build the strength, to take the time to learn the steps and find the balance required for each new move. What tricks have you found to help you change your balance of priorities and responsibilities each day? What struggles do you have as you learn how to keep everything moving smoothly? Please comment below. If you struggle with figuring out your priorities, setting goals, and getting things done, I would highly encourage you to take the Make Over Your Mornings online course by Crystal Paine. It is very affordable and was extremely helpful for me to make some adjustments to bring my life into better balance. When your nights are filled with a slow dance with a baby who just won’t sleep…Press on. When your day is disjointed and unproductive because you can’t move past the fog from your sleepless night…Keep moving forward, one step at a time. When your work schedule includes meetings and travel and you’re gone all day and night and you just want to hold your child’s face in your hands because you miss it so much…Know that tomorrow may be easier, and tomorrow will come. When the bills extend past the paycheck and you struggle to understand why you trudge through this chaotic life just to come up short…Trust that there will be a sunrise after this long night. When your little girl throws a fit the size of Texas every time you speak to her…Know that she loves you and needs you beyond what her tiny words can express. When you have consumed toxic amounts of caffeine and your eyes still fail to stay open during the endless work meetings…Take a deep breathe, for the night will come soon. When you can’t wrap your brain around the insurmountable tasks ahead of you because you are so wrapped up in your guilt and worry about whether your baby is getting fed enough, loved enough, or spoken to enough…Close your eyes and be still. Jesus knows his needs better than you and He’s got your back. When your brain is spent and your energy is zapped but someone must put food on the table, clean the endless amounts of laundry, break up fights, and wash up sweaty little bodies…Take it one step at a time. When you lose track of the permissions slips and forget important events on the calendar…Let it go, there are more important things to this life. When you lose your patience, your mind, and your sanity…Rest and know that His mercies will be new in the morning. There will be evening and there will be morning. There will be sunrises and sunsets. There will be dark days and storms. There will be beauty and rainbows. There will be laughter and days filled with tears. You WILL make it through. You CAN take that next step. JOY will come in the morning. PEACE will surpass your understanding. LOVE makes everything beautiful. You can do all things. Press on dear sister. HE is with YOU. What are you struggling with right now? What do you do to keep your head above water when the pressures of your busy life feel overwhelming? Please share in the comments! All moms have days like this. I don’t think that ever stops. Parenting is HARD, there is no “Easy button”, there is no pause, no rewind, and you don’t get a Mulligan. Being a mother is only one aspect of who I am as a person. I certainly feel that being a mom is a vital part of the equation, but I’m also a wife, a daughter, a friend, a Christian, a sister, and an employee. I don’t ever want “mom” to be the only label to define me, I feel that God made me for so much more, which means that balancing all of these parts of me is vital. It makes me a better mom. My good balance teaches my children, by example, how to live an abundant and full life. 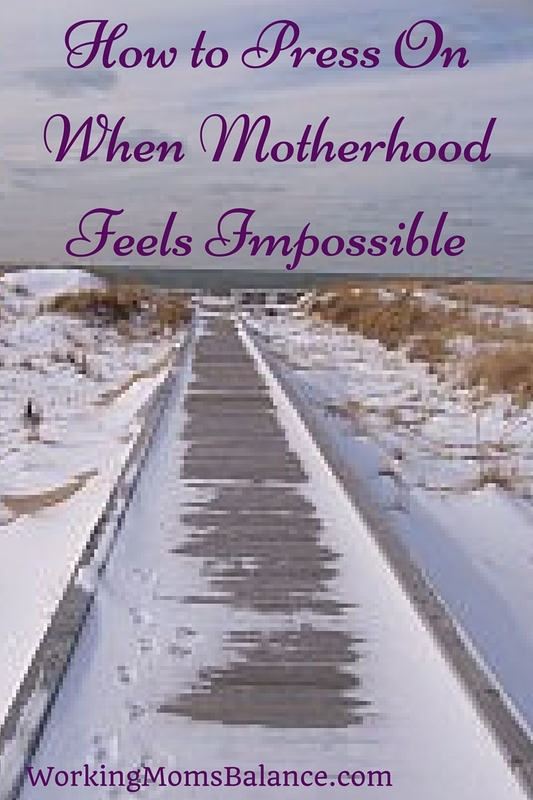 This blog is for moms who long to find that balance. I hope that this space provides hope, inspiration, motivation, peace, and most of all support for working moms. This blog is for moms who work full-time, part-time, those who work in the home, out of the home, or in someone else’s home. We’re here for moms who love their job, hate their job, and moms who cry every day because of their jobs. Moms who work day shift, third shift, or swing shift. Moms who work in the corporate world, the classroom, the medical field, the freelancers, retail working moms, mommy waitresses, network marketing moms, and everyone in between. Welcome. I hope you grab your energy drink of choice, prop up your feet for just a moment, and gain some refreshment here.